An updated version of the program for deleting unnecessary files on the computer has been released. 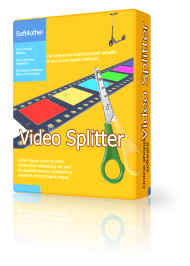 If you want to cut large video files in order to watch video on your Android smartphone, do not miss this program! The application for monitoring files changes in the predefined folders. It can work in Windows (by setting the service) and Linux using crontab service. And it is for free! For the third version EMMZ program is available for download. Users of previous versions will not have to pay for it, s serial numbers were the same. Among the new features can be called the preservation of isolated fragments of a video or sound, saves images and many more! Today we have created a new completely free product that will be a good helper when working with the program Table View Video Player. 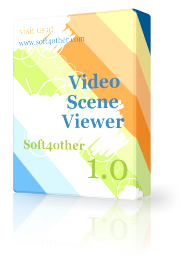 This program helps you when watching video scenes, creating html reports, and printing still pictures! For users who do not need professional Table View Video Player program possible, we have created a budget option, which has a major opportunity - to watch videos in a table! Good news! Today we are pleased to introduce a new version of our product. 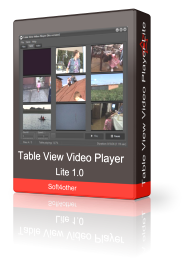 Table View Video Player application - a tool for video analysis and quick search certain places in the video. Tabular presentation helps to speed up video viewing dozens of times! The program is completely free displays video in the table up to 4x4! We are pleased to present you a completely new free product. 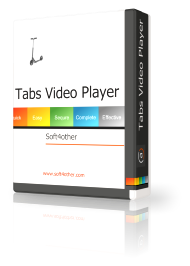 This is a video player which, like browsers can display videos in separate tabs. Try it yourself and make the convenience of watching movies and video lessons with it. 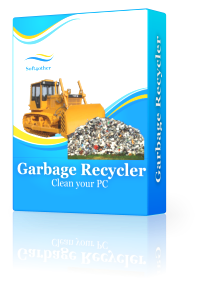 The program Garbage Recycler is a program to clean your computer. 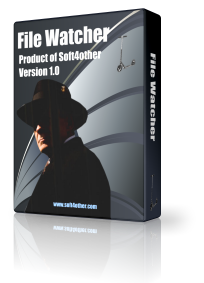 This program will allow you to the entire set of your files to find those that are not needed, and delete them. The program itself will find all types of files, calculate their number and total volume. This program can create collections of videos, images, music and text using the information on public sites. The main feature is the ability to give names to store objects on the basis of the analysis of html pages. Loaded collection can be export database SQLite. The program allows you to sew very long panoramas from video. Ideal for creating panoramas trains, columns of cars, parades and more. The assistant is a handy program to work with clipboard. It can also store lists, voice keystrokes remind relevant events and have many other features. What is your desktop favorite operating system?